Please submit your top three two-day scores from any WA24 Marked/Unmarked or Mixed rounds shot in 2018. The top 3 scores will be totalled and an average created and displayed on the rankings table. To allow inclusion of archers who have not completed three two-day rounds, the sum of the top 3 scores will be used to determine a ranking. Do not worry if you have not completed three two-day shoots, please submit the scores that you have so I can include all on the rankings list! Please include your name, bowstyle, score(s) and event name(s) and date(s). The deadline for submission was 30 November 2018. 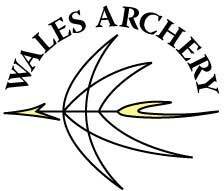 This table shows the final 2018 field rankings for Welsh archers shot at qualifying tournaments.